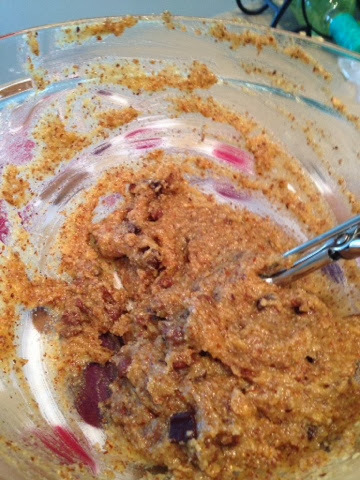 I bought almond flour at Trader Joe’s a while ago and kept meaning to find a recipe and make something with it, but honestly I was afraid of how it would turn out. 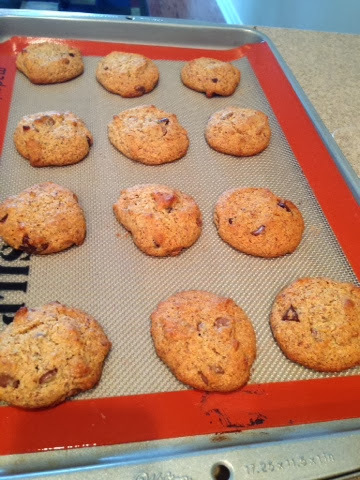 Then last weekend I found out that a friend coming over to my house was gluten free, so it gave me the motivation to try this recipe so she wouldn’t be left out when the cookies were served. It turned out better than I ever imagined! 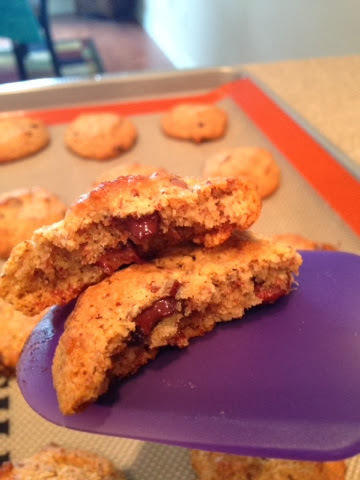 These cookies are delicious beyond belief! 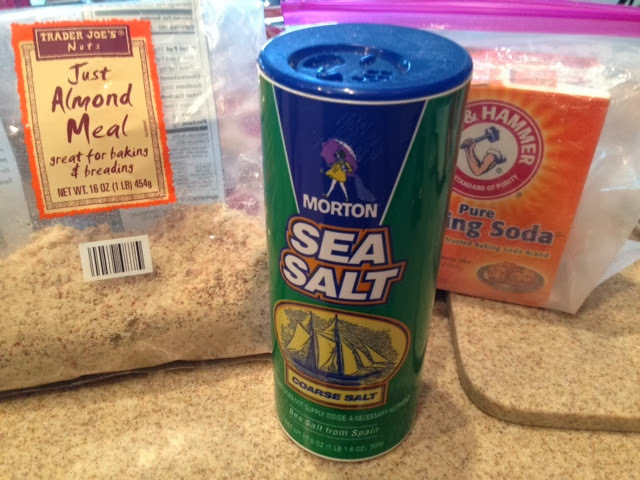 Very moist with a wonderful combination of flavors. 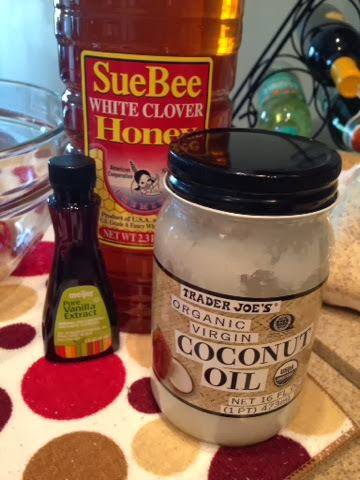 Whisk together the coconut oil, honey, and vanilla extract in a large bowl. 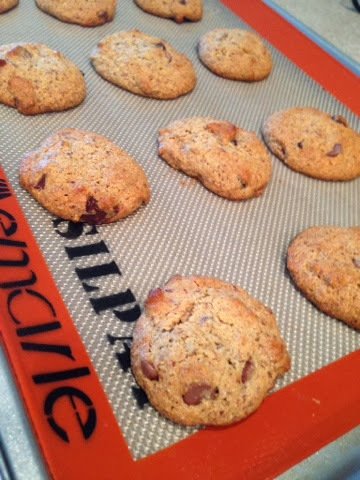 Baker’s tip: If you don’t like the flavor of coconut don’t use coconut oil as you do taste it in these cookies. 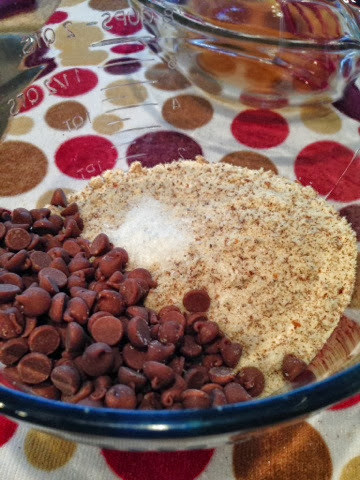 I love it and it makes this cookie all the more wonderful in my opinion! 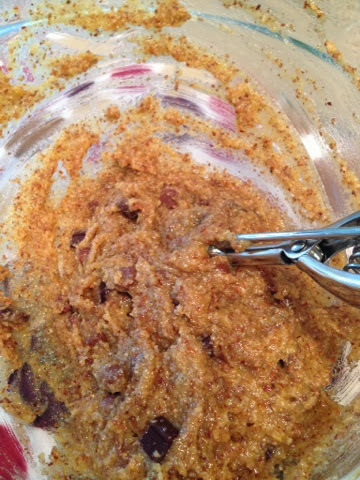 In another bowl whisk together the flour, baking soda, salt, chocolate chips. 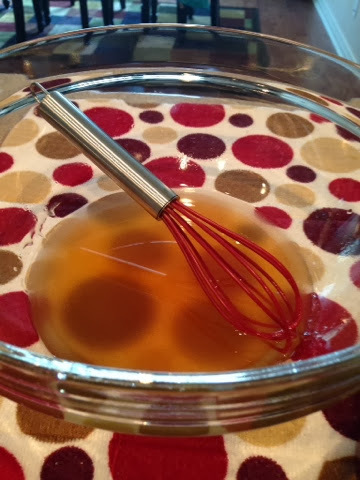 Now add the 2 eggs to the liquid mixture and whisk to combine (waiting to add these insures the melted oil or butter is completely cooled and you don’t scramble your eggs!). 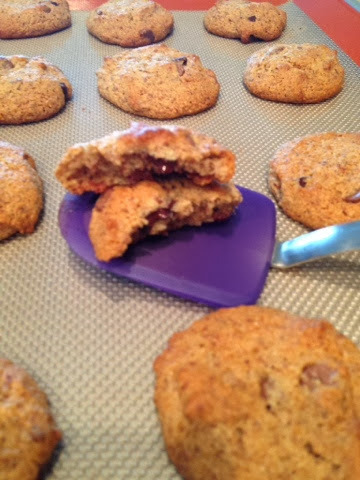 Using a cookie scoop drop onto cookie sheets and bake for 10-13 minutes. 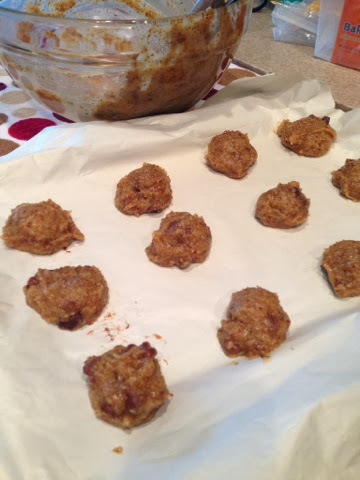 I did 12 minutes but ovens vary. 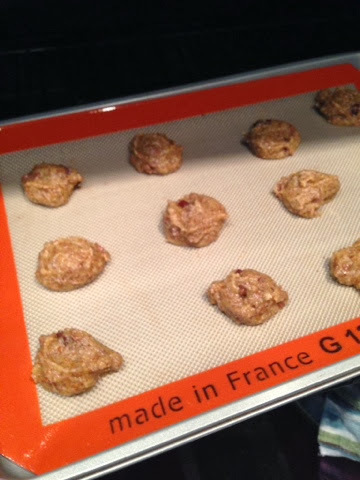 Makes 30 cookies. Best kept refrigerated. 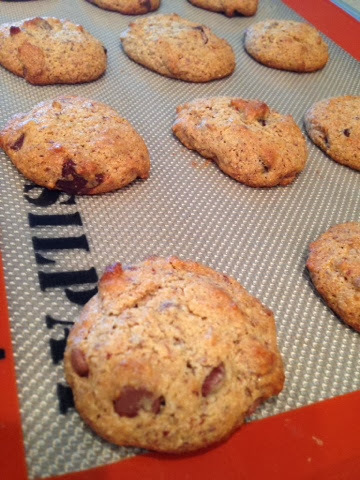 They were a huge hit with my gluten free friend and EVERYONE else who’s tried them! I’m getting requests to make more already!